Cost: The 8 course kaiseki menu costs £115 per person, with the option of matching wines or sakes for £65 per person. About: The word kaiseki derives from the Japanese words kai (bosom) and seki (stone), and comes from the habit of trainee monks carrying a heated stone in their robes, whose warmth helped to stave off hunger. Served as part of the tea ceremony since the 16th century, light kaiseki meals were introduced as the high caffeine content of powdered green tea was almost too intense to drink on an empty stomach. Today, kaiseki generally refers to multi-course Haute Cuisine meals at some of the best restaurants in Japan, and particularly Kyoto. UMU, London’s first Kyoto kaiseki restaurant was opened in 2004, and was awarded its Michelin only 5 months later in January 2005. My first visit to UMU was in that same year, when I attended a day-long cookery demonstration by its head chef. It was an amazing experience, and one that truly impressed me. Nearly 10 years later at my Japanese supperclub, I am often asked for Japanese restaurant recommendations, and UMU still springs to mind. As I cook Japanese food often at home or for my supperclubs, whenever I go out for a Japanese meal, it has to be a real treat. The food has to be outstanding, and beyond anything I can cook myself. And so I was thrilled to return to UMU recently to try head chef Yoshinori Ishii’s latest kaiseki menu. 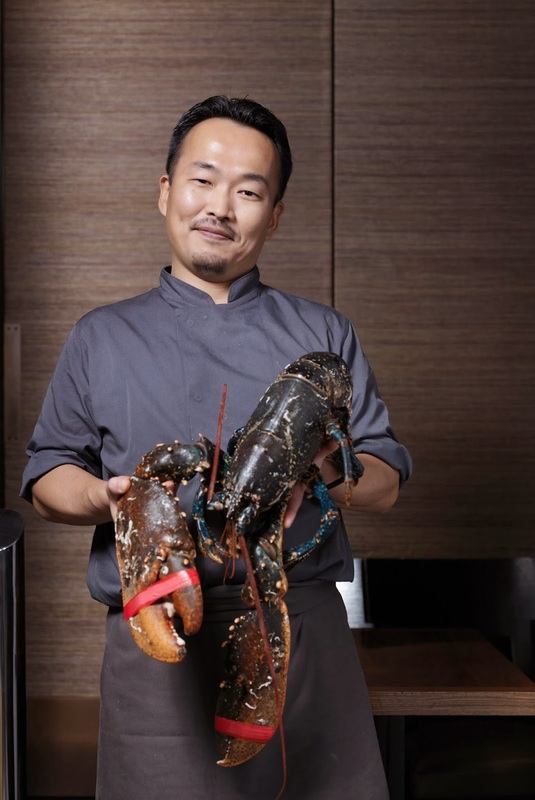 Bringing over 20 years of cooking experience, 9 years of which were at the 3 Michelin starred Kyoto Kitchen in Japan, Yoshinori Ishii has also studied pottery, flower arrangement, farming, calligraphy and fishery. He worked as head chef for the Japanese embassy at the United Nations in Geneva before joining UMU as executive chef in 2010. Since then, Chef Yoshinori Ishii has undertaken a drastic overhaul of the restaurant’s menu. Rather than using frozen native fish air-freighted from Japan, Chef Ishii has focused on familiarizing himself with local, British producers and suppliers, particularly organic farmers and day boats. Today most of its ingredients come from British soil or sea, to create UMU’s Kyoto-inspired kaiseki menu. And this is no lip service – on my latest visit, it was a joy to be served caviar from Exmoor, lobster and langoustine from Scotland, and wild eels from Wales. Very few Japanese chefs have the confidence and the know-how to steer away from centuries of Japanese tradition, and make use of foreign but locally sourced ingredients in their native cooking, and for that I respect chef Ishii. 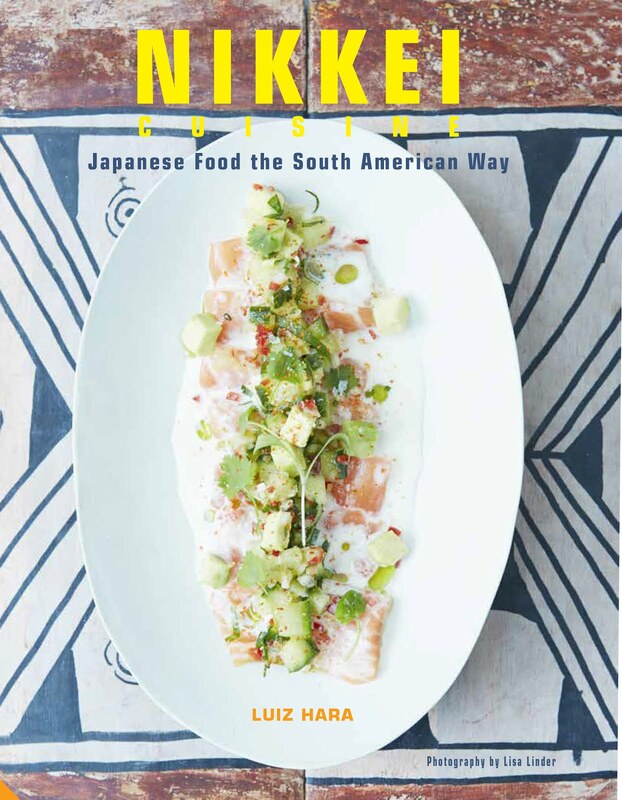 This is resonant with the increasingly recognized concept of Nikkei cuisine – the cooking of the Japanese diaspora (sometimes even second or third generation in Brazil, Peru and other countries with substantial numbers of Japanese expats) using locally available ingredients. Chef Yoshinori Ishii is also a firm believer and practitioner of ikejime, a method of causing immediate brain-death in fish, before draining them of blood. This method helps to prevent unnecessary stress to the fish, which reduces the eating quality and shortens its storage life. It also prevents blood clotting in the flesh, the growth of bacteria and unpleasant odours, and slows the onset of rigor mortis and decay. Chef Ishii is on a mission to popularize this preservation technique, which originated in Japan during the Edo period, among fishermen in the UK. UMU will pay 1.5 times the market price for ikejime-treated fish delivered to its kitchen, creating an incentive for participation. What We Ate: We started with 2 pieces of nigiri sushi, topped with British farmed sturgeon caviar from Exmoor National Park 10g tin which was sublime. 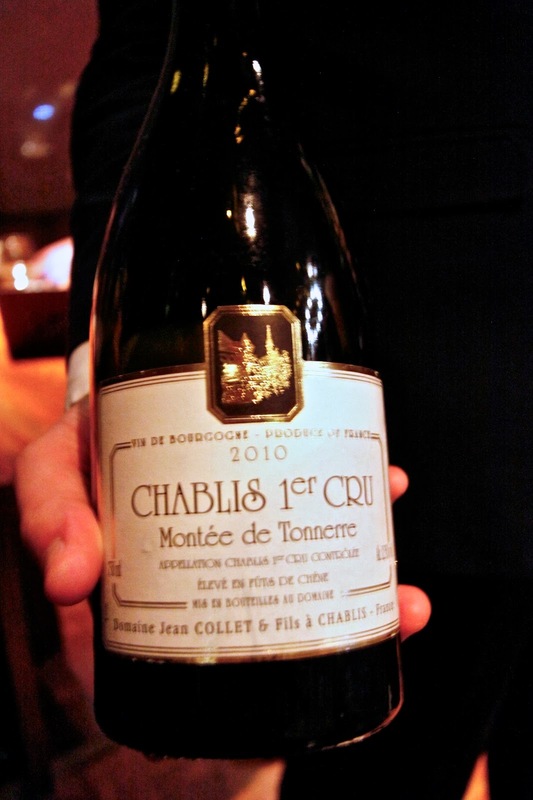 Little pearls of sea saltiness and fresh flavours were a joy to the tongue and palate. This was followed by a sake-cured, meaty Scottish langoustine, served in a very refreshing tomato jelly with fresh ripe figs. Next came a delectable “treasure bag” made from yuba –fine sheets of tofu skin obtained from the boiling of soya milk during tofu making, and a great delicacy in Japanese cooking. This was wrapping around seafood served in a very fine clear dashi broth (Japanese stock made from bonito flakes and konbu seaweed). We were then served a platter of chef Ishii’s Special Selection of Sashimi – paper thin slices of brill served with yuzu-pon (Japanese citrus dressing), engawa (the fatty fin of the brill – my favourite sushi topping, and the first time I have been served it in England), red mullet, yellow tail, scallops, the freshest and most succulent belly of tuna, and delicious sea urchin from Iceland. The platter was for me the highlight of the meal, with outstanding freshness of ingredients and stunning presentation. Next was Welsh wild eel, smoked a la minute, it was succulent and tender and served with a tangy plum-shiso sauce. Sour plum (known in Japanese as umeboshi) and shiso (aka perilla and widely used in Japanese and Vietnamese cooking – it tastes like a cross between mint and basil) are a great combination of flavours, usually served with barbecued chicken maki rolls, one of my favourite izakaya dishes. The wild Scottish lobster served with a wonderfully intense miso bisque and shichimi pepper (Japanese seven spices), was another winner, made even more spectacular by the addition of generous shavings of white truffle over the dish. The pièce-de-résitance was however the grade 7 wagyu beef served over hot Himalayan rock salt our table. Paper thin shavings of marbled beef cooked on rock salt, served with yuzu kosho. Yuzu kosho is a delicious and very strongly flavoured Japanese condiment for grilled beef and fish from Kyushu Island made from yuzu rind, chillies and salt. For dessert, we had Frozen Lake and Kinako Kinoko. Both desserts were nothing short of sublime, but Frozen Lake was my favourite for presentation, refreshing flavours and contrasting textures – Shochu baba, clementine ice cream and kumquat puree. Kinako Kinoko was also excellent – kinako flavoured poached meringue served with cream. Kinako is roasted soybean flour which is widely used as a coating for Japanese sweets, it has a delicious toasty flavour and worked really well with the sweet meringues. What We Drank: The wine and sake lists are comprehensive with more than 600 wine bins and 160 types of sake, reputedly the largest sake list in Europe. A wine flight is available to accompany the kaiseki menu for £65 per person. The most affordable bottle is £40, prices escalate rapidly then on. 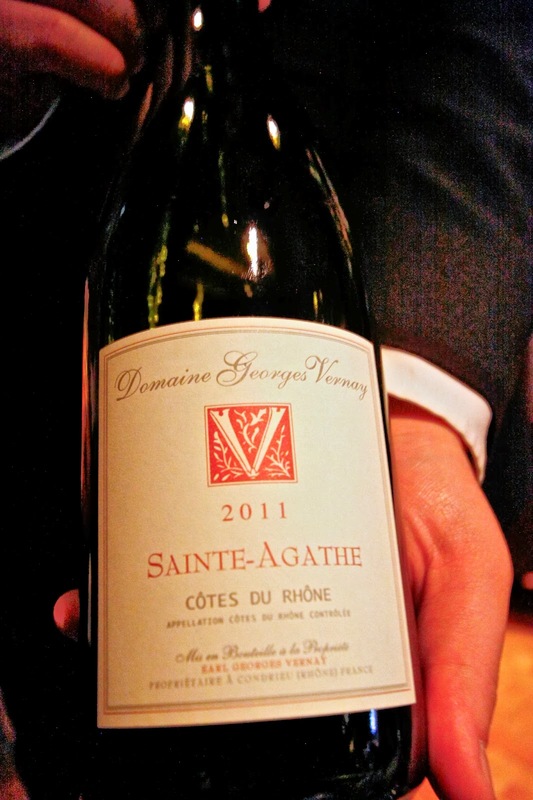 On my visit I had a couple of glasses of 2011 Sainte-Agathe by Domaine Georges Vernay from the Cotes du Rhone (£15 - 175ml), and also of 2010 Chablis 1er Cru Montee de Tonnerre by Domaine Jean Collet (£12 – 175ml). These were both excellent choices by the sommelier, but prohibitively expensive in my opinion, specially if purchased by the bottle (around £70). 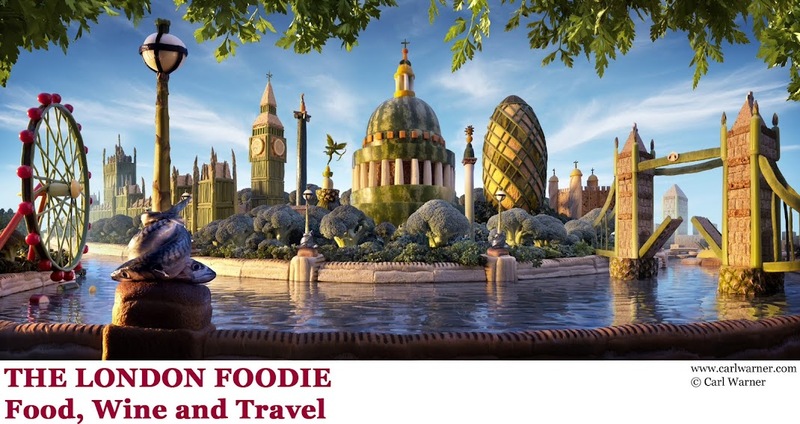 Likes: The food was sublime, the service attentive and very friendly. The engawa was a lovely surprise on the sashimi platter, the Frozen Lake dessert was another highlight. Dislikes: More affordable wine choices on the menu. I think it is a pity that a restaurant that boasts more than 600 wine bins on their list, cannot offer a few more affordable choices. Verdict: Chef Yoshinori Ishii’s vision and passion for his native cuisine, his determination for freshness and use of top quality British produce are commendable. UMU is probably my favourite Japanese restaurant in London and I very highly recommend it.